The Centre for Image Research and Diffusion in Girona (CRDI) was created in 1997, with a view to housing the existing Image Archive and manage its rapid growth. The CRDI is a department of the Records Management, Archives and Publications Service (SGDAP) of the Girona City Council. The mission of the CRDI is to gain knowledge of, to protect, to promote and to disseminate Girona’s photographic heritage. With 3,8 million photographs, 1.000 original films, 9.000 hours of TV records, and 2.000 hours of radio broadcasts, CRDI has achieved its aim of collecting photographs and audiovisual material that reflect and record every aspect of the city’s past and present. CRDI provides free access to around half million photographs http://www.girona.cat/sgdap/cat/consulta.php. From there you can download high resolution images for non commercial use. img. 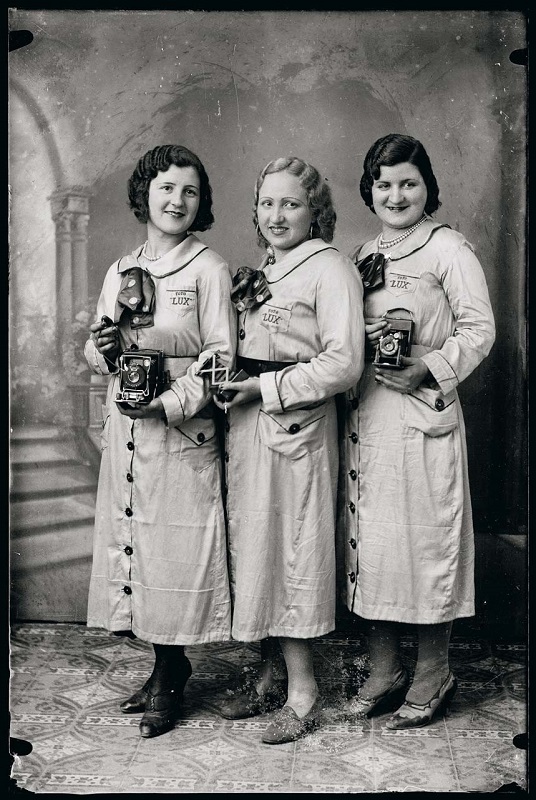 Advertising portrait of Foto Lux gallery, Girona 1929 © Ajuntament de Girona.